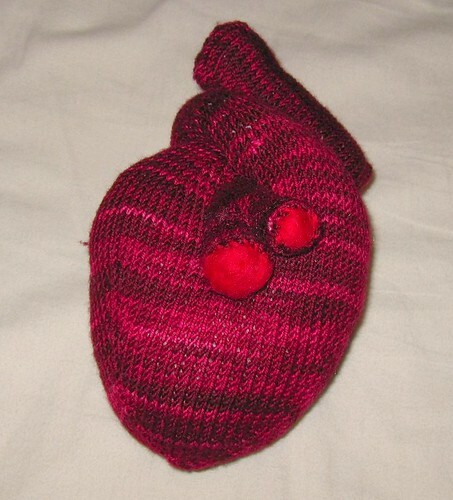 It’s not often that I get a call with a knitting emergency, but I was asked to make the anatomically-correct heart from Knitty at very short notice this week. And if someone’s offering to buy me gorgeous Colinette Jitterbug yarn to make it with, then I can’t say no. That’s very cool. Nice contribution to a cool project! Thank you 🙂 It was a fun project to do! I can’t believe you finished it in time – the name of your blog seems more and more apt !